Wow, this has us laughing with tears in our eyes. 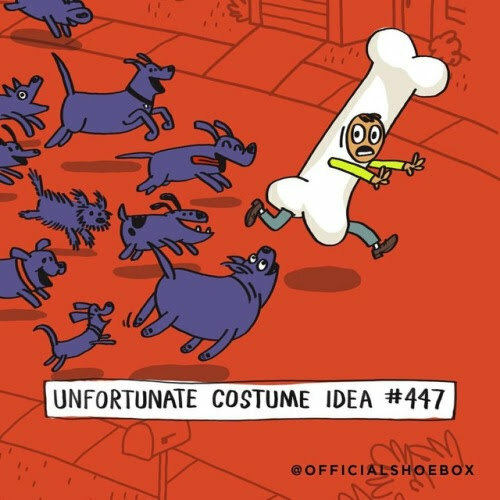 That is one costume you don't wanna have on with all those doggies around. Such a great post. Thanks for the share. Have a great day. OMFP! (Oh my furry paws!) The doggie at my household likes the old stale bones (cookies in shape of bones) that have been sitting in the car for days on end. Tee hee hee.